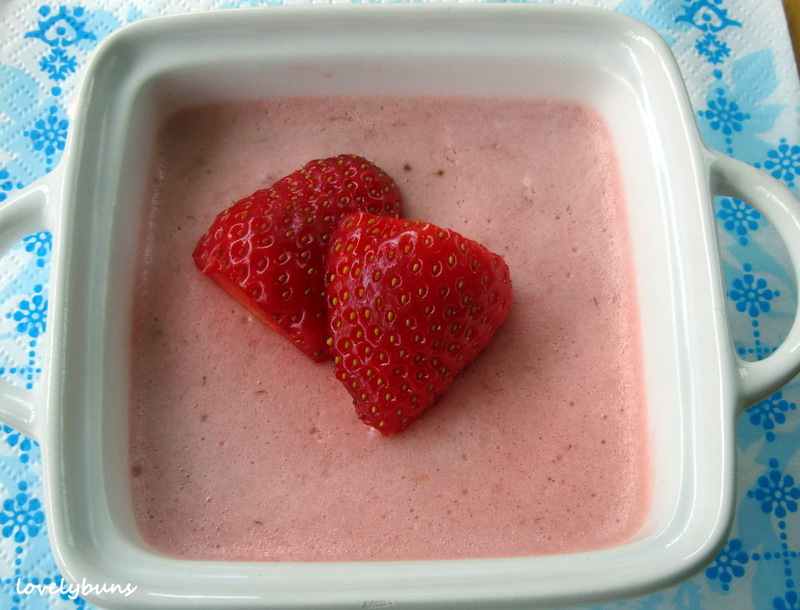 This no-bake soft fluffy mousse has a great strawberry taste and smells gorgeous! There are only a few ingredients, it is a really really easy dessert to make and looks pretty chic too! Look at it, all lovely and light and airy! It’s made very quickly although as with most mousses, it does need a couple of hours in the fridge to set. It can of course be made ahead, the evening before for example. It would also be nice served as a smaller portion with a couple of other desserts, maybe something chocolatey and something crunchy…..
How to: Cut the strawberries in half and put all but 5 of them into a pan along with 100ml water and the sugar. 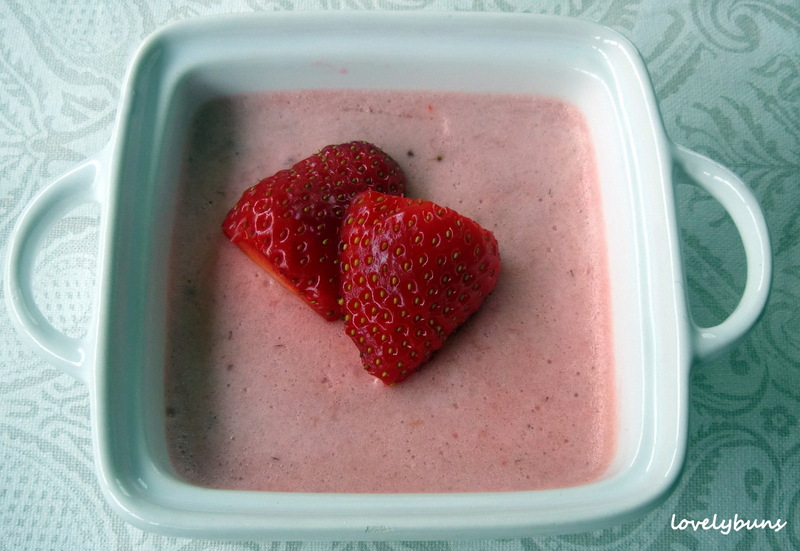 Simmer the strawberries until soft enough to mash, 3 -5 mins. Remove from heat and squash the berries, using a fork, until pulpy or smooth. I used my blender until I had a very smooth sauce. Next add the marshmallows, then stir them into the hot strawberries until they dissolve. If necessary, reheat the pan. Leave to cool. 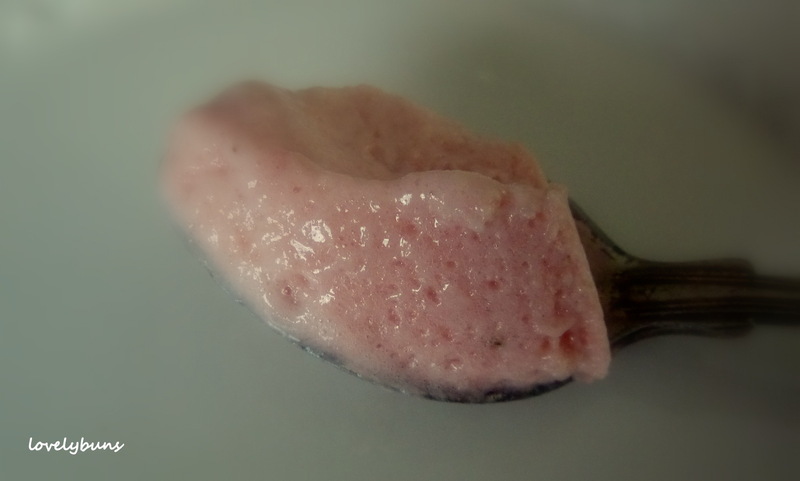 Whip the cream until it holds its shape, then fold into the cooled strawberry mix. Spoon the Fluff into one bowl or separate pots and chill for about 2 hrs, or until set. Cut the reserved strawberries in half and use to decorate. Brutally good I’ll make it on the weekend. Hey, great. I hope you do make it, it’s so easy, tasty and impressive! What a great idea using marshmallows! I’ve never seen them used in a recipe like this before, but it makes sense, since mousse often takes gelatin and that marshmallows have gelatin in them. I will definitely try this, especially since strawberry season is upon us! I love fast unfussy recipes and this one is no exception. 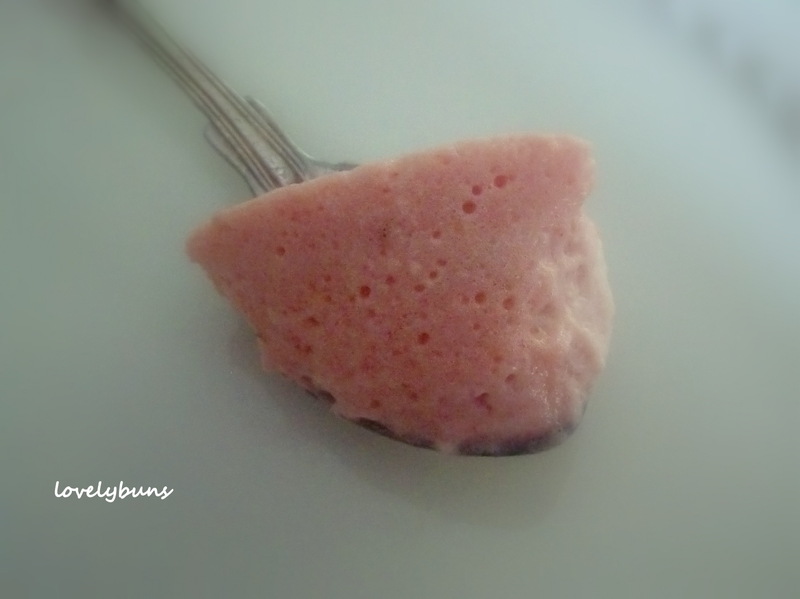 This is lovely when you want a change from the usual strawberry recipes. It never occurred to me to use marshmallows…it makes sense…the sugar, the gelatin, all there!